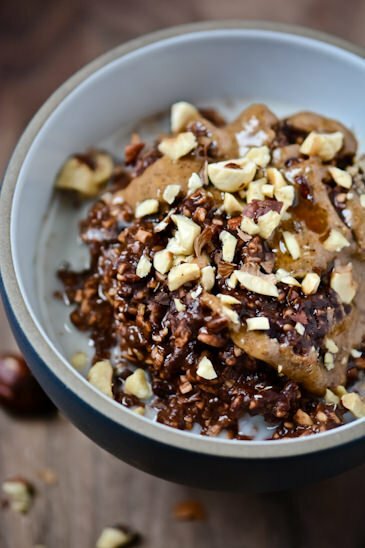 Here is the recipe I promised that features the hazelnut butter I posted yesterday , Nutella overnight oats. I was a little late to the overnight oats craze but I have to admit that I love them. I’ve always avoided oatmeal because I don’t like the texture but they maintain their shape and a little bite which I prefer. It only takes a few minutes before you go to bed or you could prep them in the morning take them to work and they’ll be ready to eat in an hour or so. I use a combination of steel-cut and rolled oats since I prefer a heartier texture. I usually pop mine in the microwave for 30-45 seconds to take off the chill but the can be eaten straight out of the fridge. 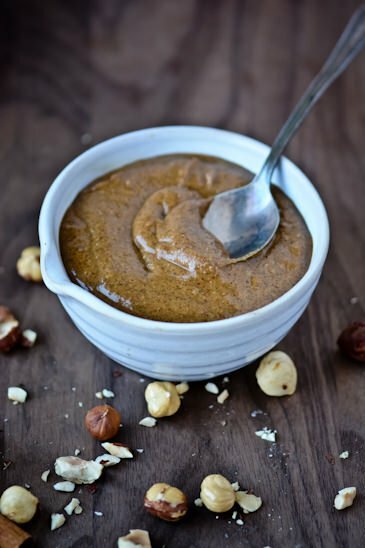 If you don’t want to make your own hazelnut butter this is also delicious with almond or peanut butter. 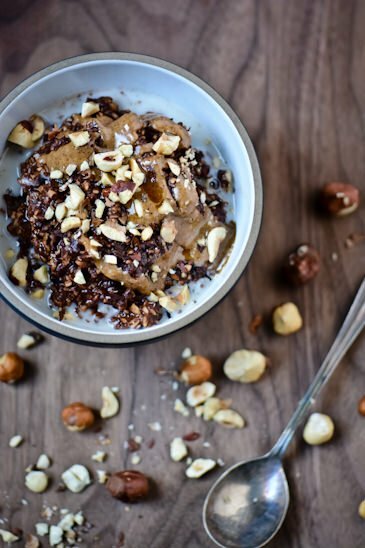 I love hazelnuts and nutella is an indulgence I don’t feel right about eating for breakfast but by using cocoa, homemade hazelnut butter and honey it feels like an indulgence but it’s really full of healthy fats, protein and fiber. Combine the milk, cocoa powder and honey in a container and shake or stir well to combine. Add the oats, chia seeds and hazelnut butter and stir well. Let sit overnight in the refrigerator or for at least one hour before serving. 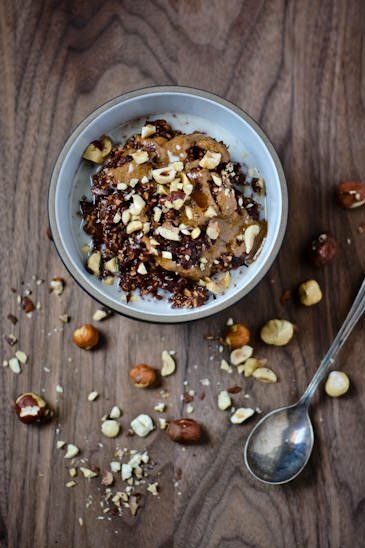 To serve warm in the microwave for 30-45 seconds if desired and top with chopped hazelnuts, a spoon of hazelnut butter and honey. 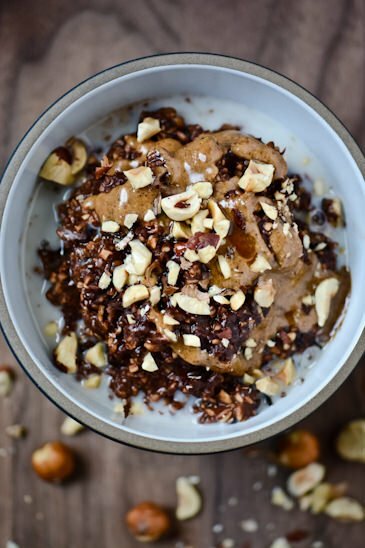 Oh my goodness between this recipe and the persimmon oats, I am in love with the ideas you have for overnight oats! I also prefer soaking steel cut oats so glad to know there’s someone else out there who does the same. Any chance you might have the calorie count for this amazing breakfast? I don’t have an exact calorie count but when I put the ingredients into My Fitness Pal is came out to roughly 290 calories a serving. I usually add milk to the mixture after I heat it in the morning so I go for a little less liquid and to be honest sometimes when I make them for myself I don’t always measure exactly but do it by feel. 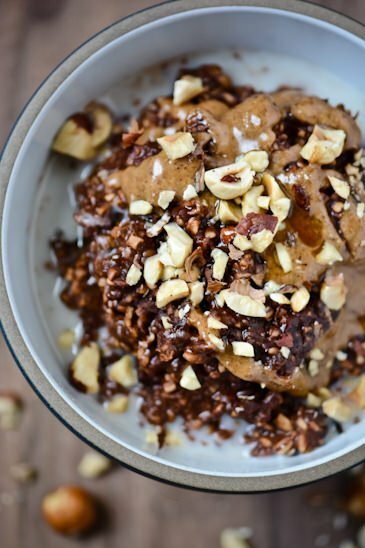 That’s the beauty of overnight oats you can really customize them to suit your taste! 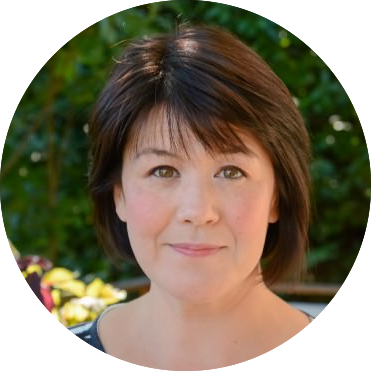 Thanks for checking out the recipe!